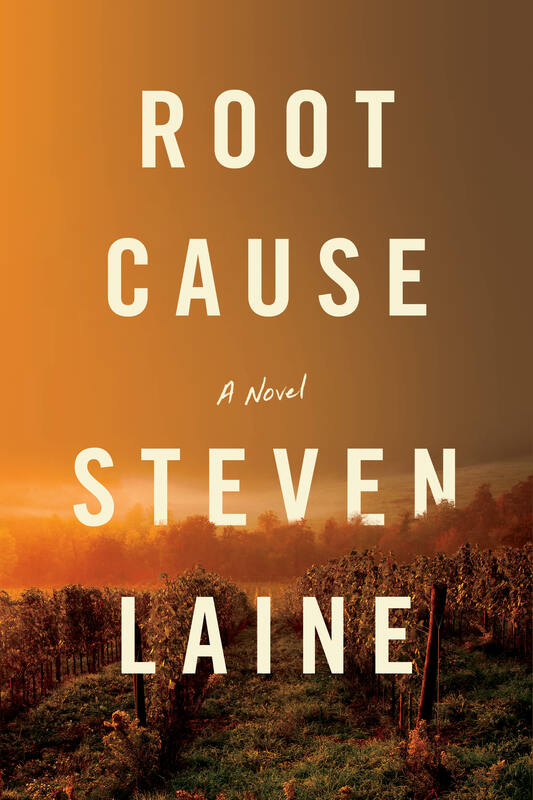 Root Cause by Steven Laine is a suspenseful wine thriller. It was released in February 2019, published by Turner Publishing. After reporting her findings to her company, Universal Wines, Corvina is charged with investigating the spread of the bug. Nicknamed Philomena by the media, the aphid is soon discovered in vineyards around the world. To aid in her investigation, Corvina recruits a wine expert in London, Bryan Lawless. In pursuit of its origins, Corvina and Bryan embark on a thrilling globetrot on which they uncover that Philomena is being intentionally spread. The deeper Corvina and Bryan search, the more they become convinced that Universal Wines holds the answer to everything, and the harder they pursue their investigation the more surprises pile up. In spite of devastating consequences, Corvina and Bryan vow to continue their investigation and do what they can to contain the spread of the infestation – but time is running short and they always seem to be a step behind. Unless they can find a way to stop the Philomena – vineyards around the world will be ruined for decades; potentially causing the collapse of the wine industry. Can Corvina and Bryan get to the root cause and save the international wine industry from ruin? Steven Laine has paired his experience in the wine industry with his passion for writing and world travel to create a mysterious international thriller that will have wine lovers on the edge of their seat. …Corvina followed Marco between the vines. He stopped halfway down a row and held out some off-colored leaves. “I think some of the vines have been infected with something,” Marco said. Corvina pulled her silk scarf tight and donned a pair of latex gloves—which she carried with her on all her winery visits—before reaching out to examine the leaves. She noted the cluster of vines around her all had the same dry, copper-colored leaves. Their undersides were covered in pale-yellow pustules. The pustules burst silently in her hand, coating her fingers with a fine, musty dust. She crouched to inspect the leaves closer to the ground. They looked and felt the same. She dug her fingers into the dirt surrounding the base of one of the vines until a long, bare section of rootstock was exposed. She brushed off as much dirt as she could and studied the rootstock and surrounding dirt with great care to confirm her suspicions. The insect matter on the leaves made her suspect Marco’s vines had aphids, but seeing their tiny yellow bodies writhing in the soil and crawling along the roots left no room for doubt. “When did you first notice the infestation?” she asked Marco, wiping the dust and dirt from her gloves. “You think it’s an infestation? Not an infection?” Marco asked. “Definitely an infestation,” she replied. “But I use pesticides, and my vines are grafted. How can I have aphids?” he asked. His voice had risen two full octaves. He looked around the vineyard as if seeking an explanation. “Not just any aphids, but it looks like some variety of phylloxera.” But how was that possible? The vineyard was in the heart of Italy, and Marco’s vines were grafted, the best means of resisting phylloxera. She had to get back to Barcelona as soon as possible to tell her boss. If she was right, Marco had bigger concerns than a bad winemaker—and wineries all over the country might be in jeopardy. “Oh no, oh no, oh no.” Marco was shaking his head from side to side. He appeared to be in shock. “Marco, how old are your oldest and youngest vines?” she asked. Steven Laine was raised in Ontario, Canada and has dual Canadian and British citizenship. He has travelled the world working in luxury hotels for international brands including The Ritz, Hilton, Starwood, Marriott, Jumeirah and Pan Pacific. When he was Beverage Manager of a five star hotel in London, he learned all about wine and has since visited over one hundred vineyards and wineries in Napa, Sonoma, Burgundy, Bordeaux, Champagne, Spain, Portugal, Germany, Switzerland, Lebanon, Australia and South Africa. As the only North American ever invited to be a Member of the Champagne Academy, he had the privilege to visit and learn from the major Champagne Houses in France. His circle of friends is made up of winemakers, Masters of Wine, Master Sommeliers, restaurant managers, and wine distributors from all over the globe. Steven’s debut novel, Root Cause, is available for sale on Amazon and Barnes & Noble, published by Turner Publishing. Steven lives in Singapore and is now working on his next novel. Readers can connect with Steven on Facebook, Twitter, Instagram, and Goodreads.